Ed and Lorraine Warren are genuine ghost busters. 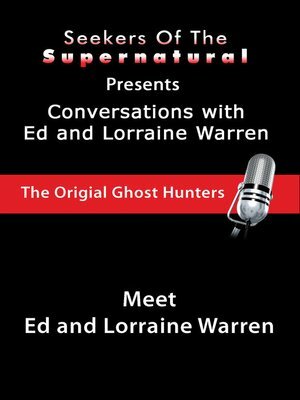 Ed and Lorraine use their God-given gifts, experiences, and expertise to hunt down the strange, the mystical, and the supernatural in an attempt to protect us from evil. The duo has strong ties to Catholicism and uses their belief in the power of prayer to help them on their quest. They feel that demons and evil spirits are directly related to religion and their firm upbringing in the faith only helps them along their supernatural path. Ed Warren grew up in a home that was haunted and became very interested in all things mystical from a very young age. He is now a religious demonologist and treats every case as a skeptical investigator, looking for facts and evidence to prove the existence of the paranormal. Lorraine was born with clairvoyant abilities; abilities she believed were possessed by all until age and experienced showed her that she was one of the special ones. She now uses her ability to communicate with spirits and relay her sights, smells, sounds, and experiences to those that do not have her clairvoyant talents, including her husband, Ed. Together, the Warrens create a passionate team of ghost hunters, gathering experience and wisdom each time they visit a supernatural location. The couple has had many experiences helping people with their homes and businesses: the famous Amityville house, the Belle house, and Dudley Town. These places, well known for their supernatural attachments, are now forever linked to the Warrens and their influence on the spirits and paranormal events. The Warrens are well-connected to many investigators related in the field of the supernatural and use their services, talent, and expertise to rid people of unwanted spirits.